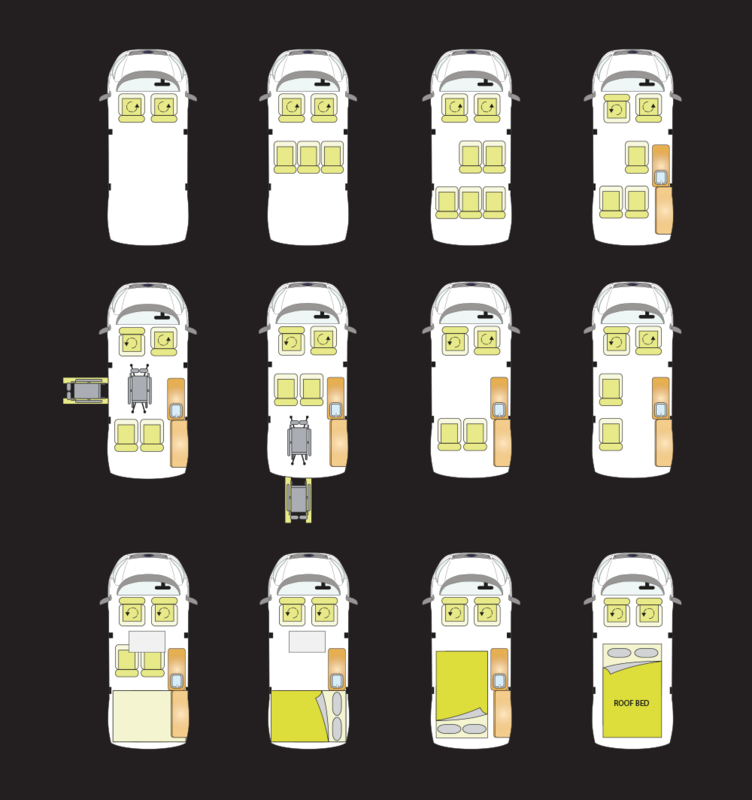 Q: WHAT SETS THE DAY VAN APART FROM OTHER CAMPERS? 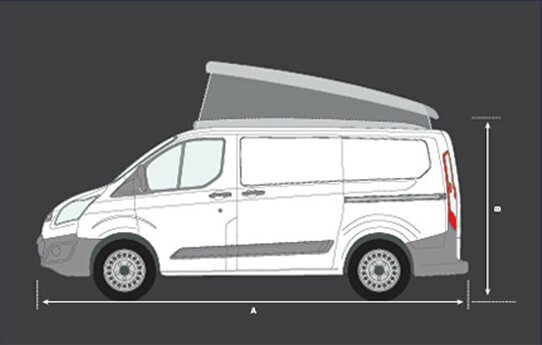 A: THE DAY VAN CONCEPT OFFERS A GENUINE CROSS-OVER VEHICLE providing a compact vehicle which you want to drive 356 days a year, plus it can be a people carrier to transport 7 in luxury, or a 2/4 berth Camper to seat 2-5 with amble luggage space, Plus the unique suspended bed system and furniture modules can be removed completely with unparalleled flexible load space and ultimate versatility. 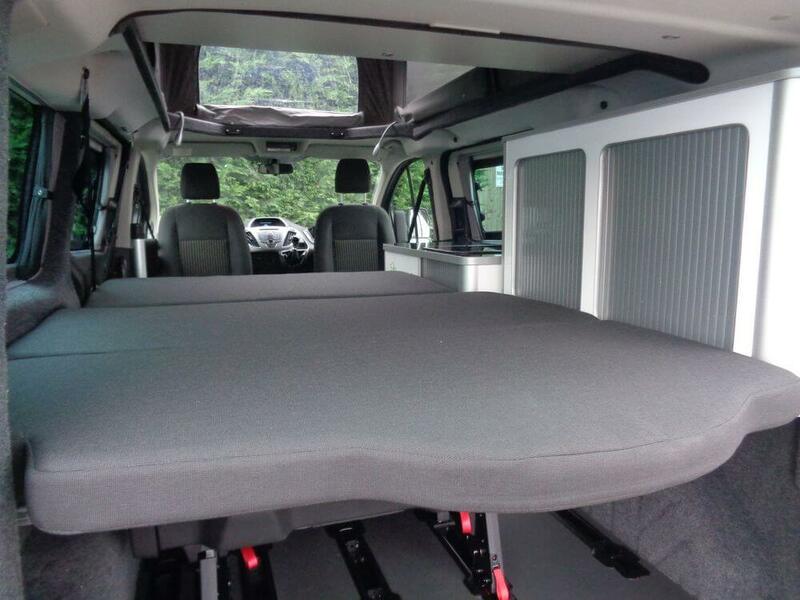 Q: WHY SO MANY OPTIONS? 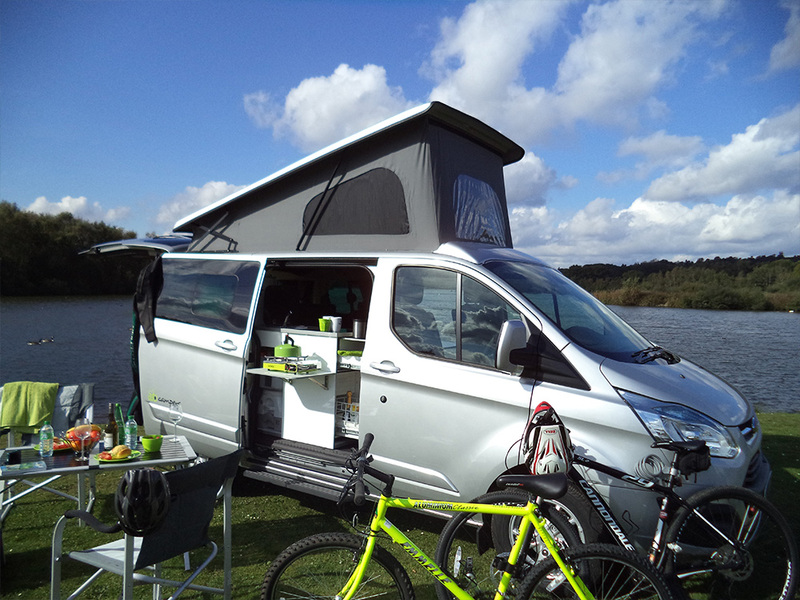 Q: DO I NEED A CAMPER THAT DOES EVERYTHING? 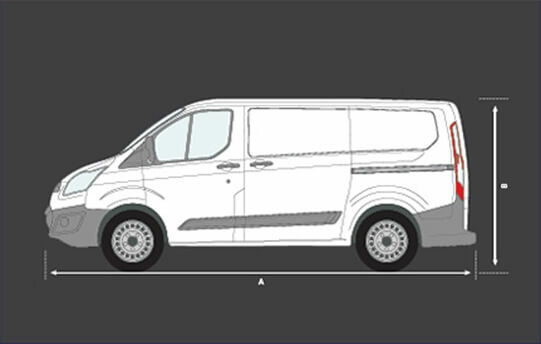 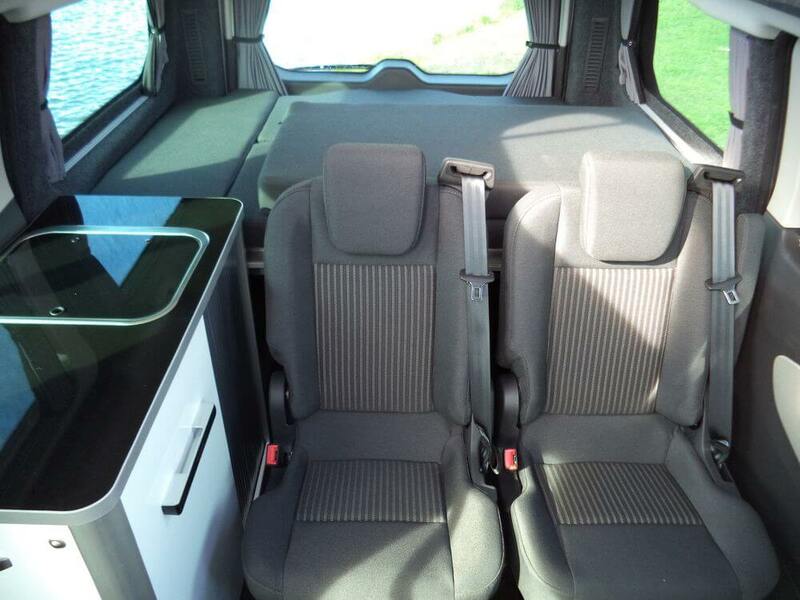 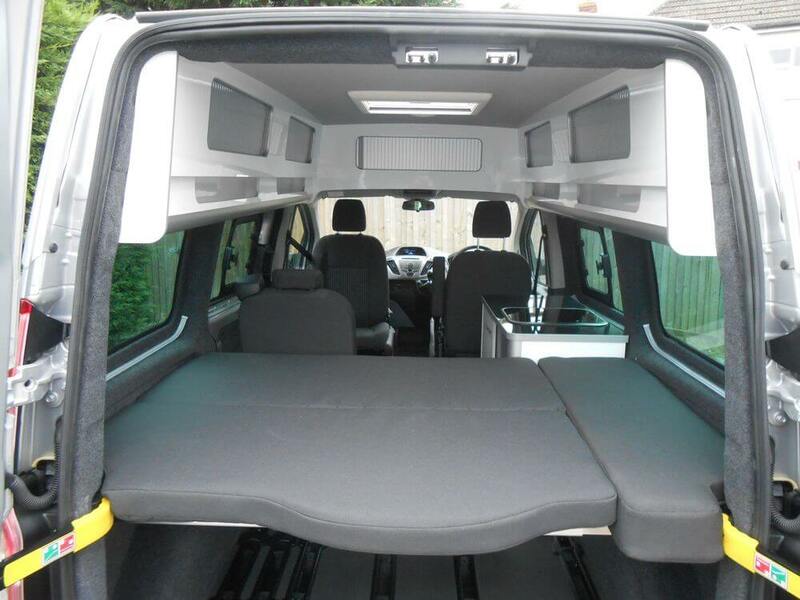 The Day Van Ford Custom & Volkswagon T6 originates as a van with rear doors and 2nd row windows, It may be possible to use commercially as long as optional 3rd row windows are not fitted (please check with your accountant) The 6 rail bonded floor system and fold flat seats are M1 certified to the highest safety standards. 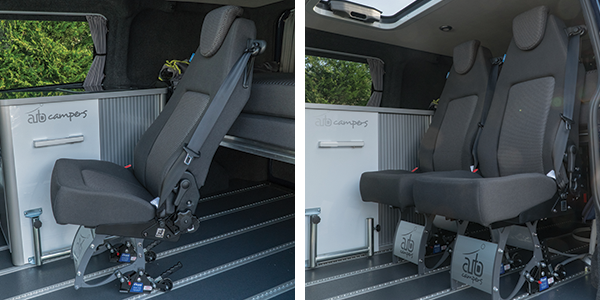 Seats are single and can easily be manoeuvred on wheelie wheels from left to centre to right anywhere on the rails length offering optimum versatility. 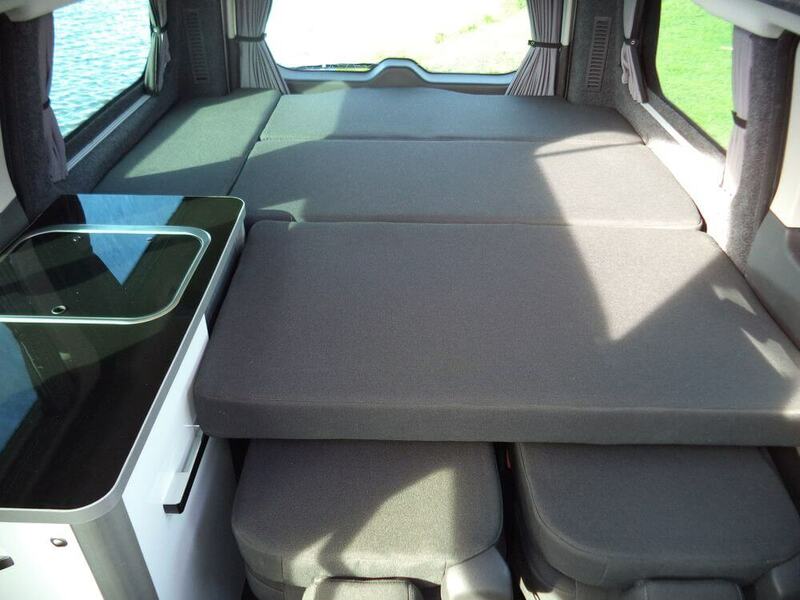 Auto Campers recommend only 2 seats are fitted to the second row for full 3rd row access if required. 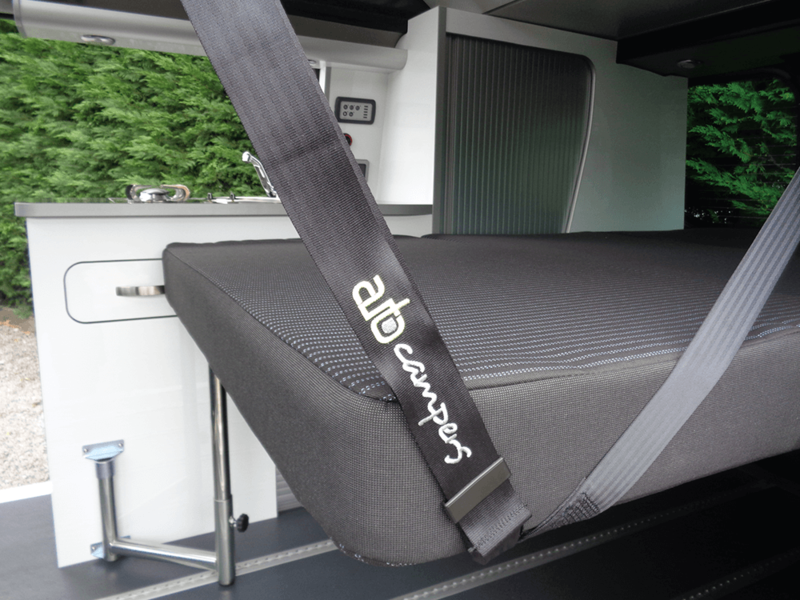 The M1 tested floor system offers the perfect foundation for fold flat seats, mobility use, or clip in load restraint D rings, the 6 rails offer greater versatility than “Tourneo” fixed floor sockets. 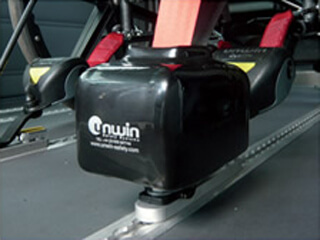 Single seas can be specified with isofix points, rubber track insert is a popular option once a frequent floor plan is configured. 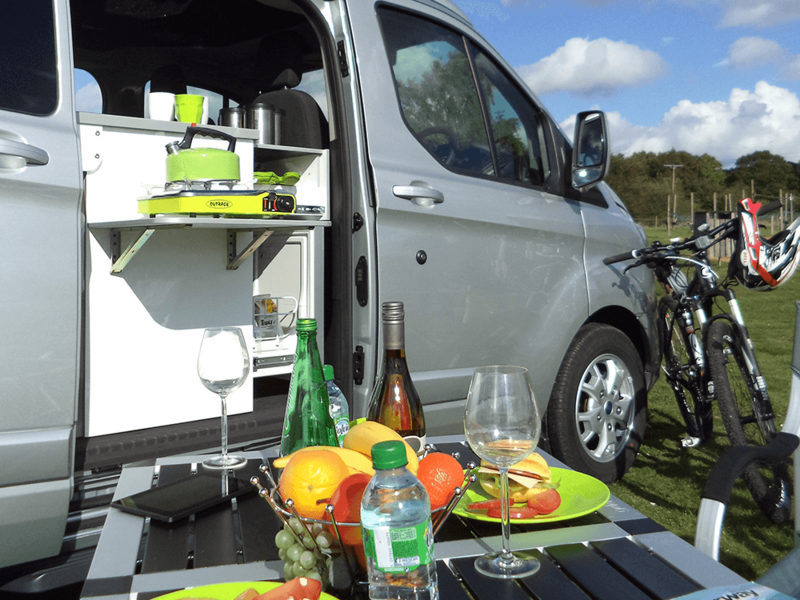 The compact removable kitchen module integrates a 50ltr compressor drawer fridge with easy access from inside, alternatively, use it to create a social space outside. 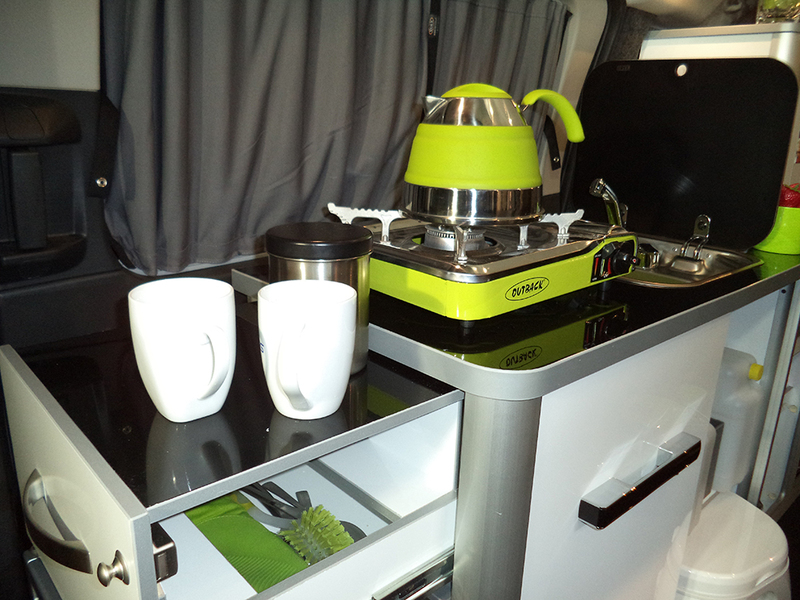 A portable Camping Gaz hob and cutlery drawer are revealed when the slide out work top is extended and a glass lid covers a deep sink supplied with water from a 12ltr refillable container – grey waste empties into a convenient 12ltr waste container. 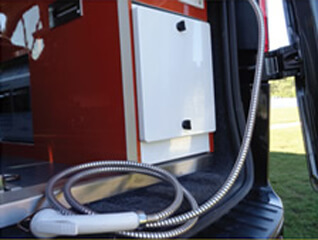 A large tambour door opens to give access to optional portable toilet storage area with shelf over for, water containers and a storage box. 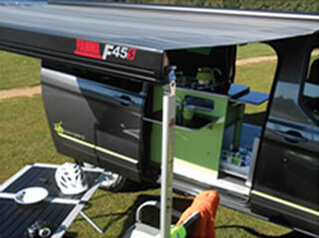 Specify twin slide doors to exploit the outside living space with the portable hob or a gas BBQ, alternatively relax inside around a table conveniently stored on the inside of the side door with multi positions on a double pivoting leg system. 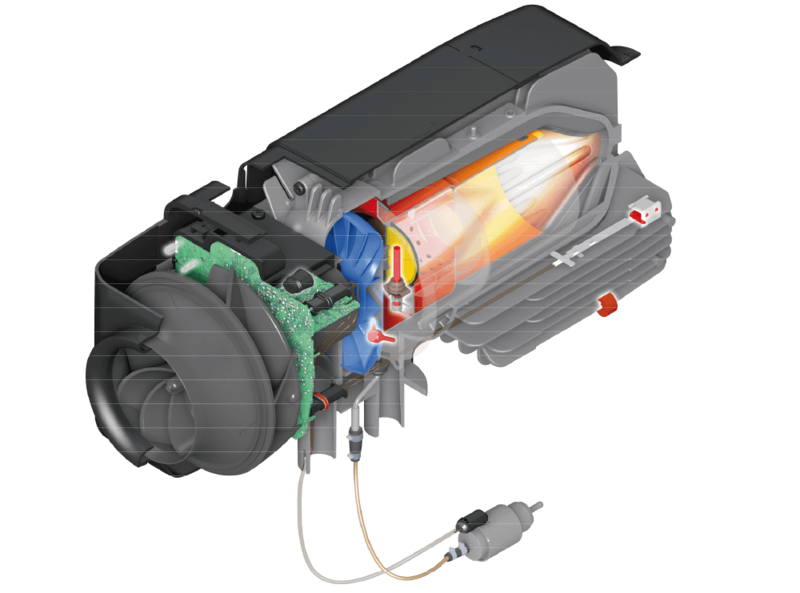 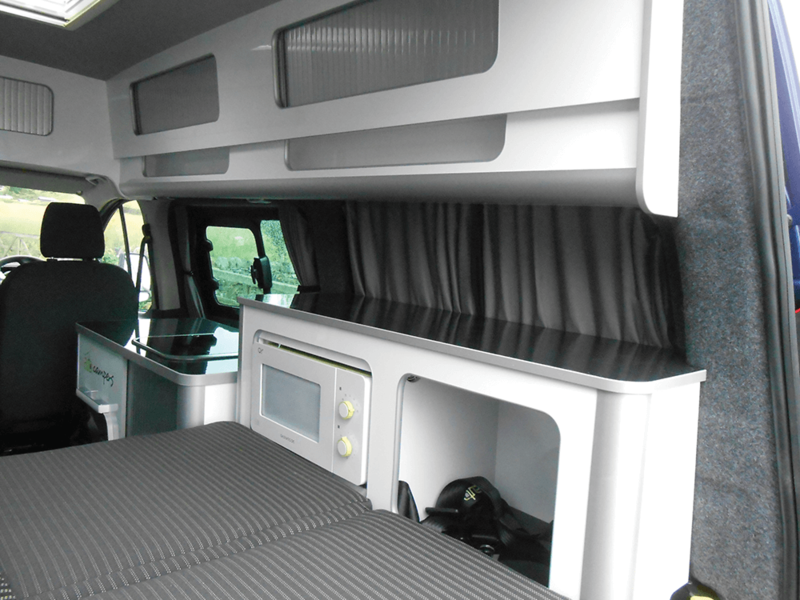 Optional thermostatically controlled blown diesel heating comes from a 2KW Webasto unit providing comfort for rear passengers when on the move or a snug environment on a winter’s day. 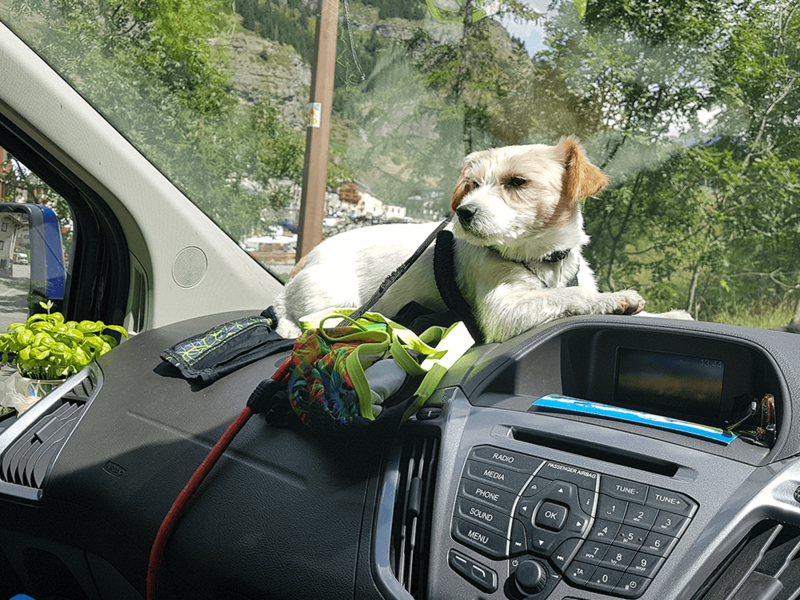 Stay cool in the summer with cab air conditioning when on the move. 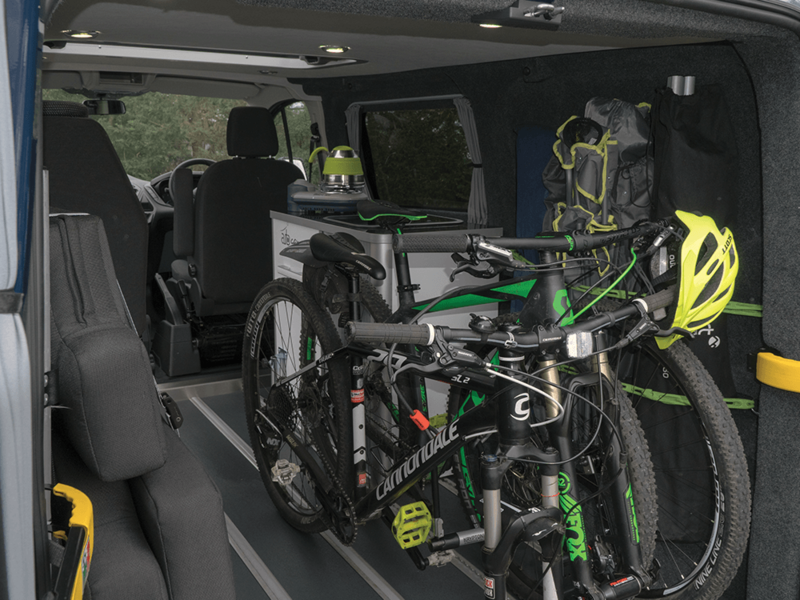 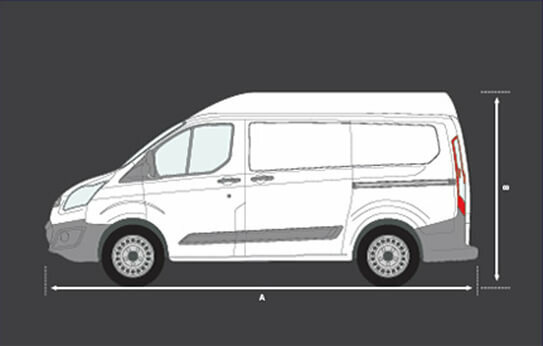 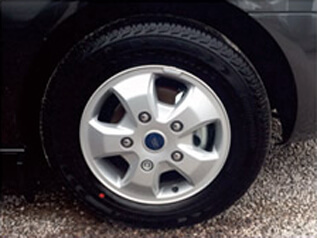 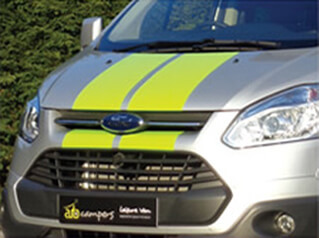 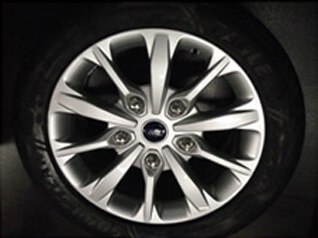 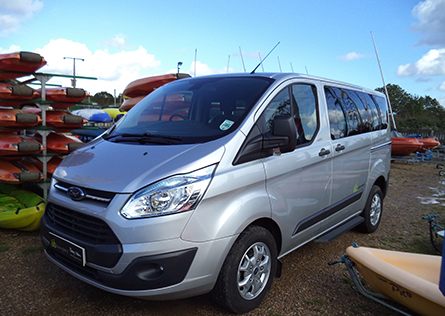 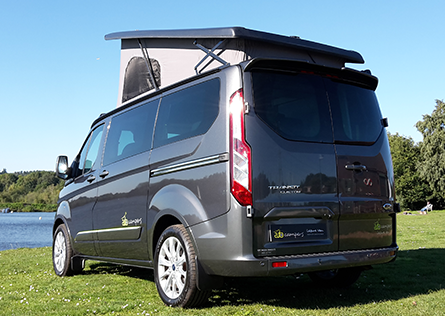 Because the Custom utilises Ford stop – start technology the base vehicle automatically comes with twin batteries with an intelligent timed delay relay to isolate and connect one battery to be used to power habitation lighting and optional kitchen unit and Heating. 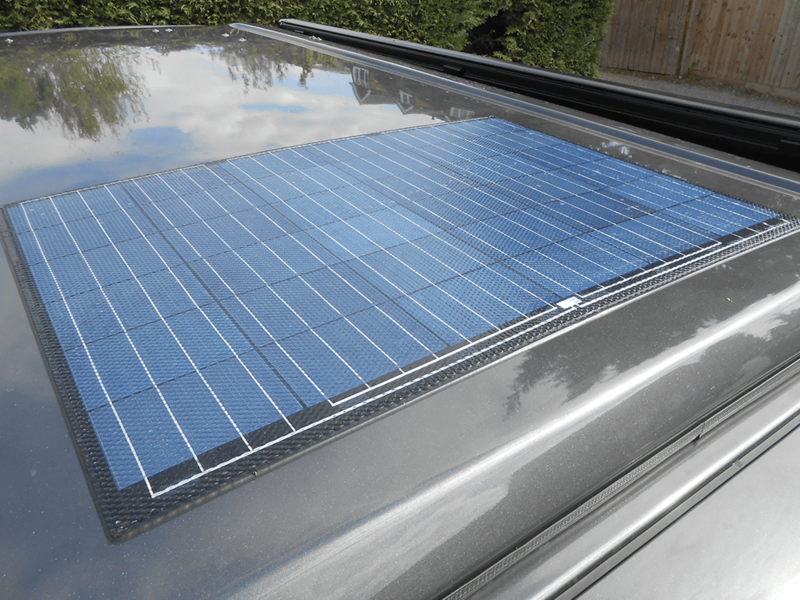 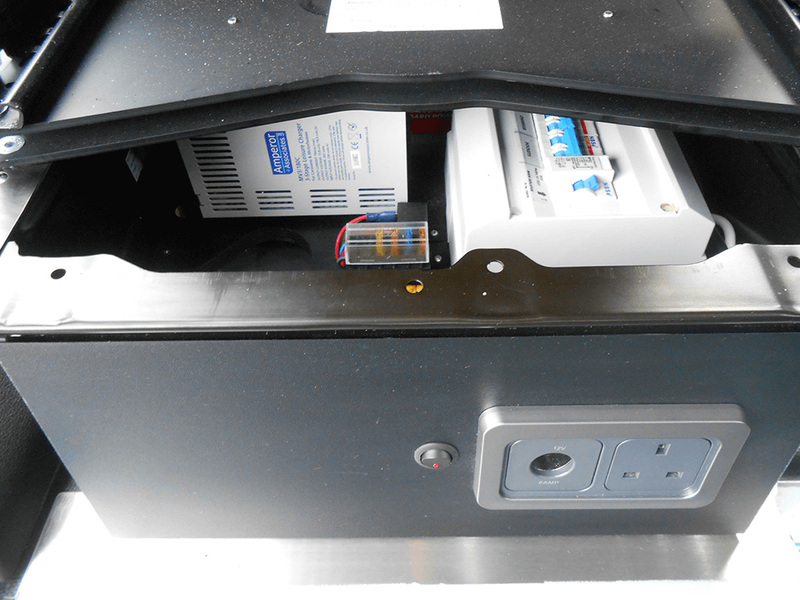 A powerful 150AH alternator ensures both batteries receive the quickest possible charging time, A 240V hook up complete with 12V charger combined with 100W solar panel ensure excellent off grid performance. 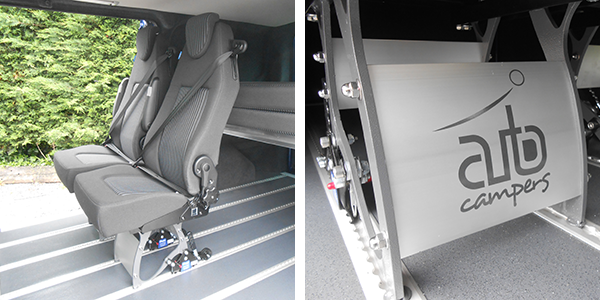 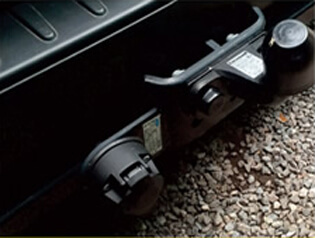 The Day Van “Custom” can be configured for any furniture module to clip in to floor sockets or rail tracking. 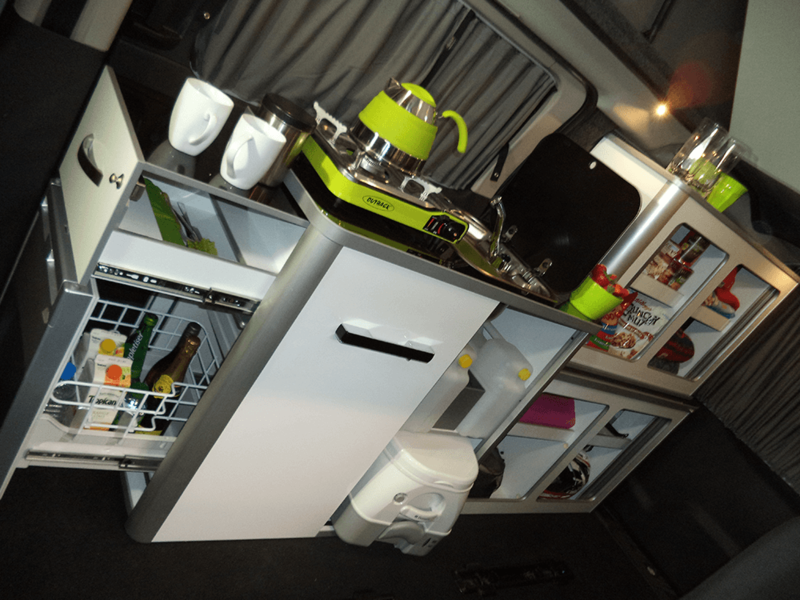 The Kitchen unit is a popular unit, prompting spontaneity to think; where will we go this weekend, or simply providing the opportunity and choice to stop where and when you want on any journey. 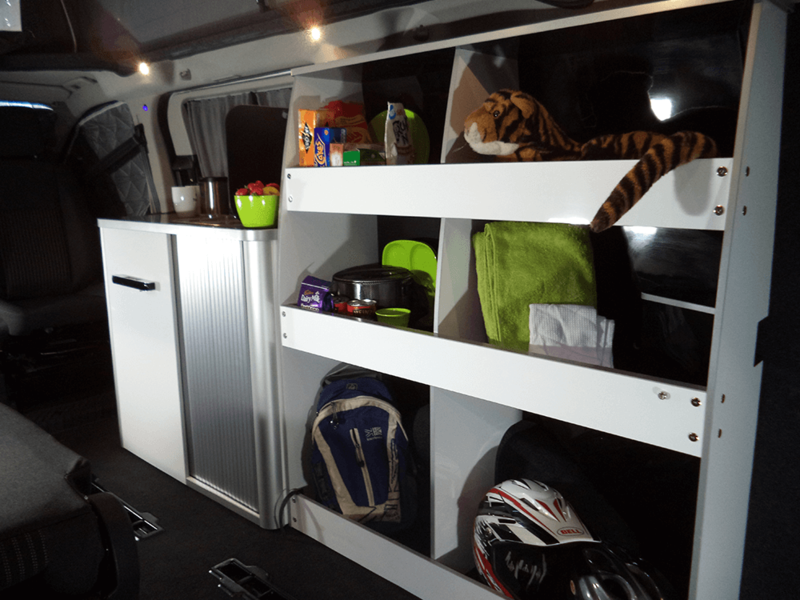 Top and bottom units provide organised storage behind neat tambor doors, alternatively the utility unit is a more affordable option and can be configured with the lower bed option. 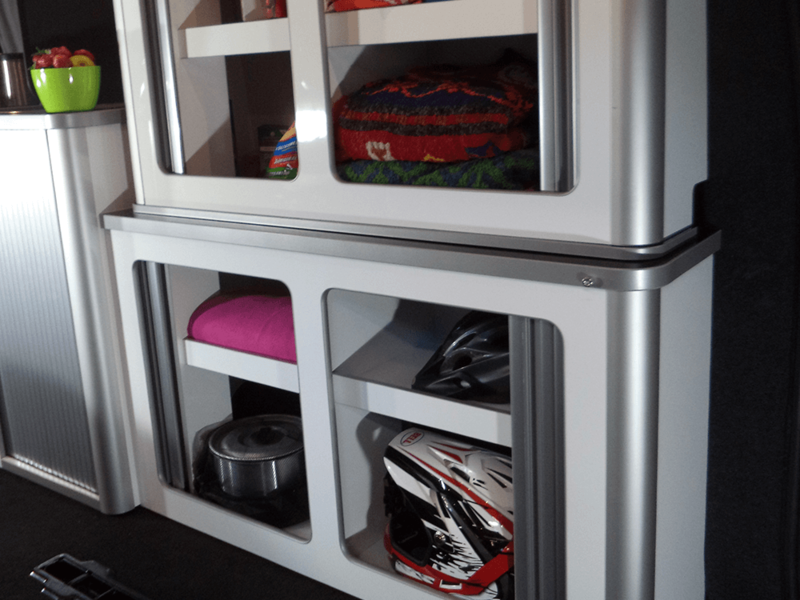 The Midi unit works well in a Hi-line when storage around the kitchen area is compensated for with overhead lockers. 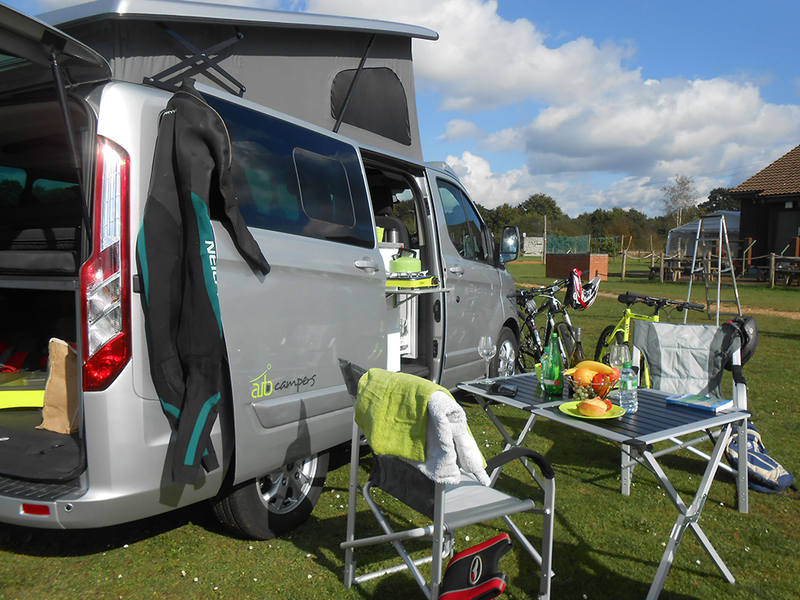 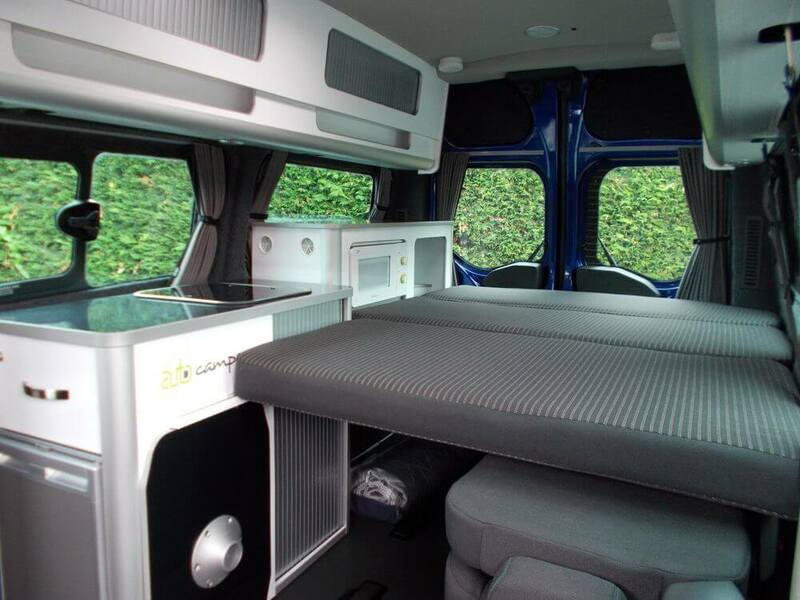 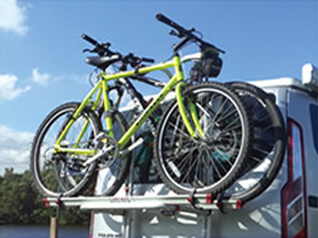 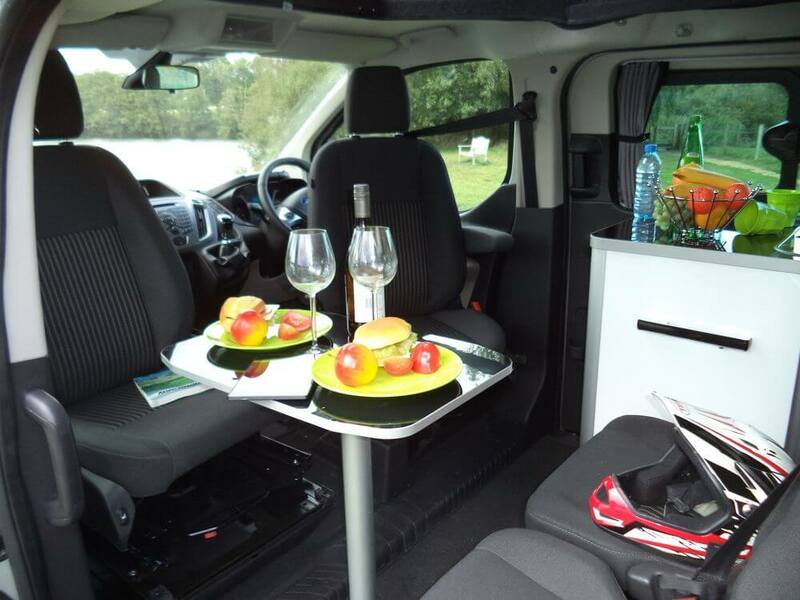 Exploit 1000’s of combinations and configure an exceptionally versatile Camper to your lifestyle for today and any day after…..
Sleep soundly on a deep reflex foam mattress resting on engineered crossbeam and slats suspended over fold flat seats or your substantial load area. 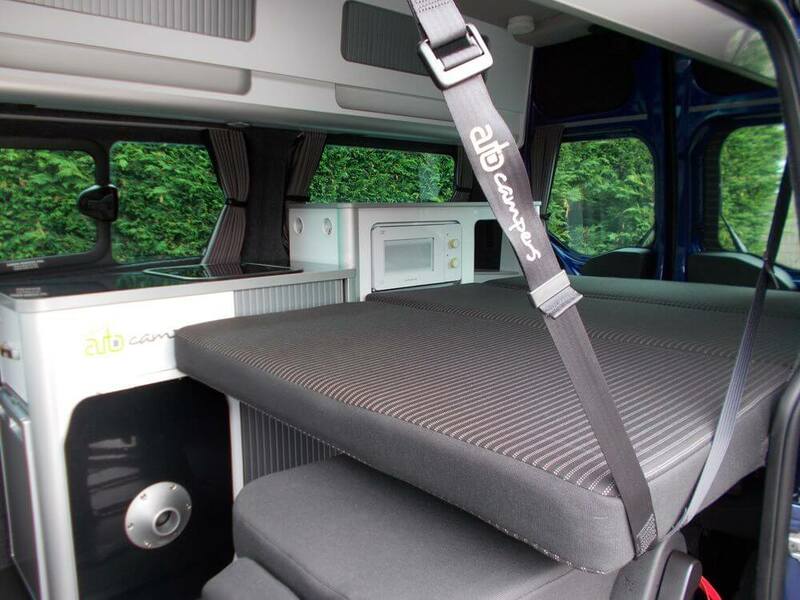 Extensive R&D and investment in a bespoke die and aluminium extruded cross beams are at the heart of the beds simplicity. 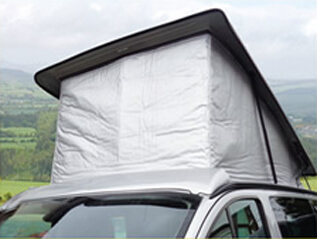 Telescopic inserts within the crossbeams extend and lock to create ¾ width or full width, supporting mattress or top module. 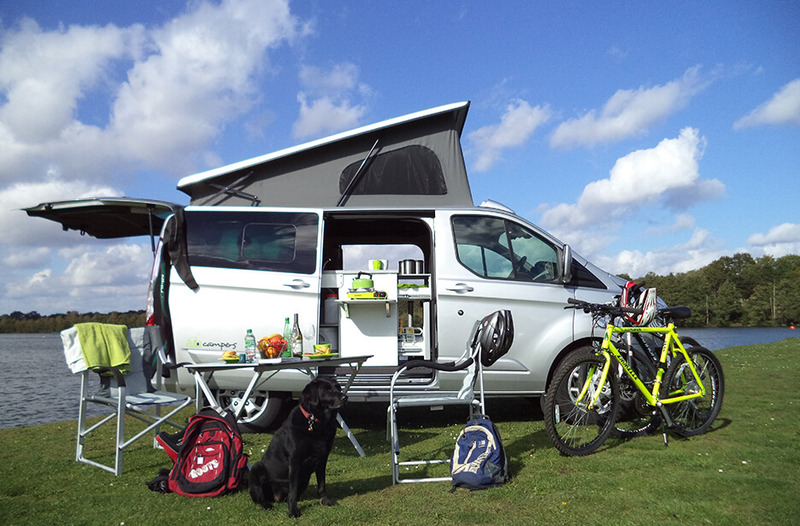 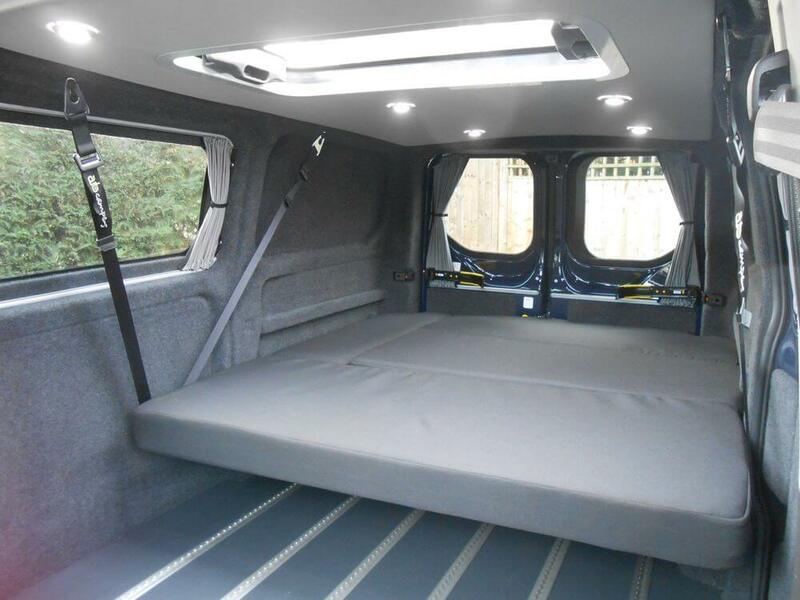 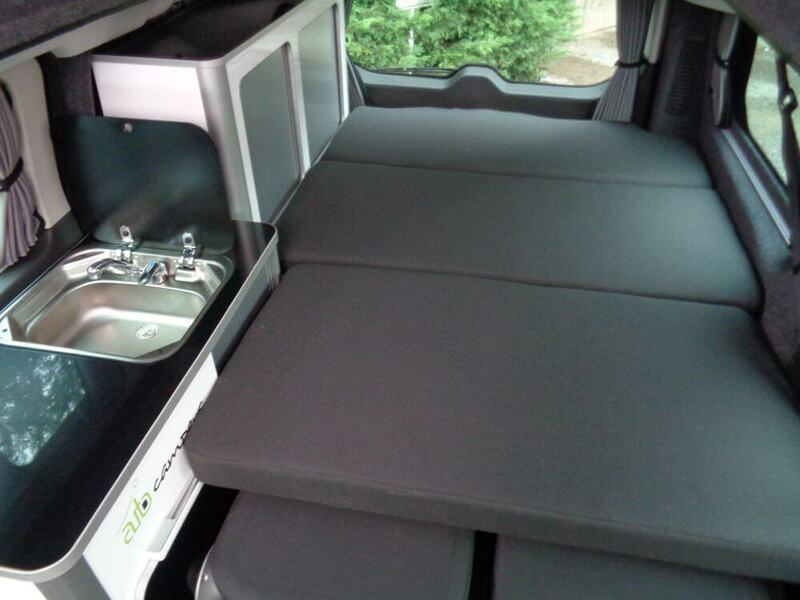 For those needing 4 berths, an extra wide roof bed in the Day Van pop top is a comfortable solution. 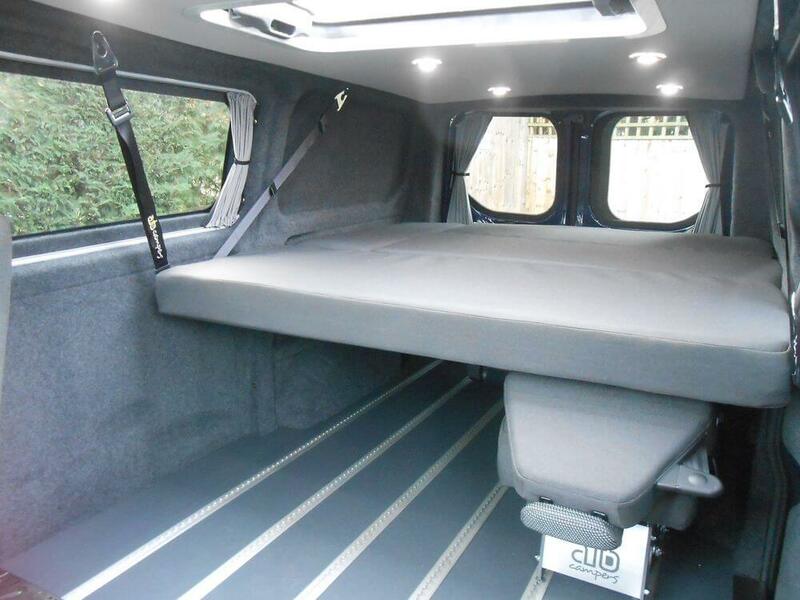 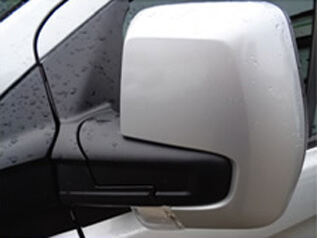 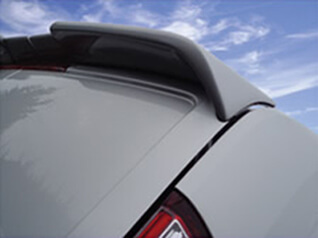 Crossbeams and slats can be stowed vertically, mattress cushions are light and manageable to manoeuvre or remove and if left in situ, serve as a heavy-duty parcel shelf. 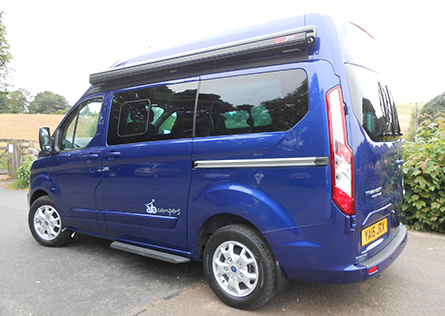 Please visit the Contact Page for Opening Hours and visitor viewing details.